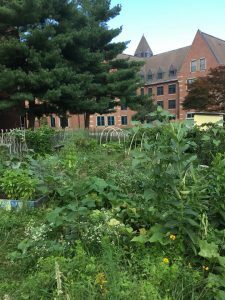 Did you know there’s a student garden at Tufts? 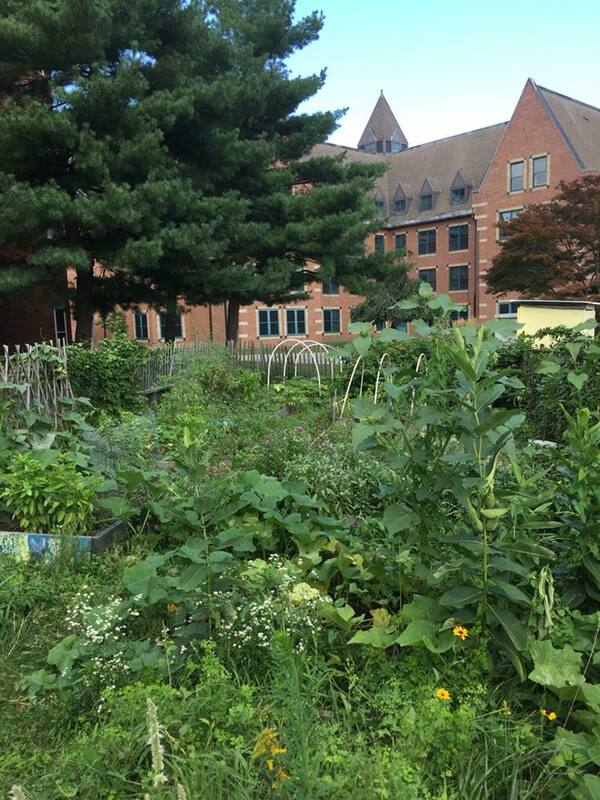 The student garden between Latin Way and Harleston Hall is one of the better-kept secrets about the Tufts campus! The garden is still pretty young (here’s a blog post about how it emerged from a Fall 2010 Ex College course on sustainable agriculture) and the level of activity varies from year to year, depending on who’s involved at a given moment. Lately it’s been looking extremely healthy, with a bumper crop of veggies as we head into the 2018 harvest season. Here’s the original website that the garden founders set up; more recent updates can be found on their Facebook page. 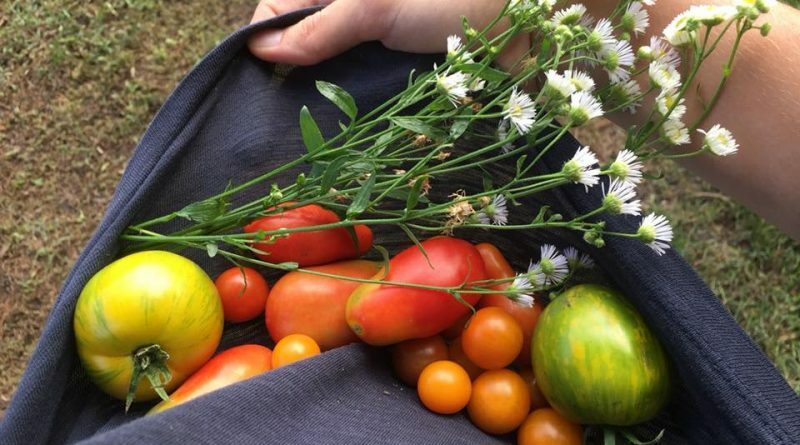 Make sure to have a look if you’re on the lower campus, and if you have any hankering at all to get your hands in the dirt and grow food plants yourself (whether or not you’ve ever gardened before), think about attending the General Interest Meeting on Sept 13 at 7 pm in Eaton 206. Garden Club leaders are planning field trips this year, among other activities!